Remember this champ? (Italian joke) Well if you’ve got $2,500 laying around and a love for De Rosas, you can now make it yours. 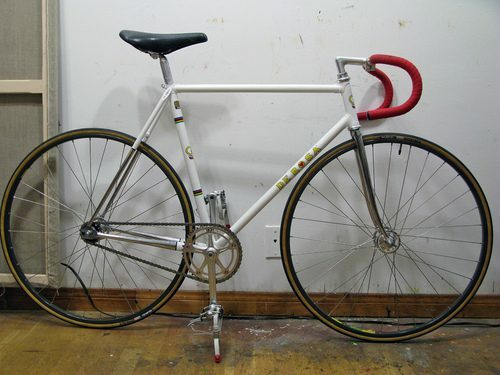 John’s selling his De Rosa pista, complete with Super Record Pista group and a Cinelli bar / stem / saddle.